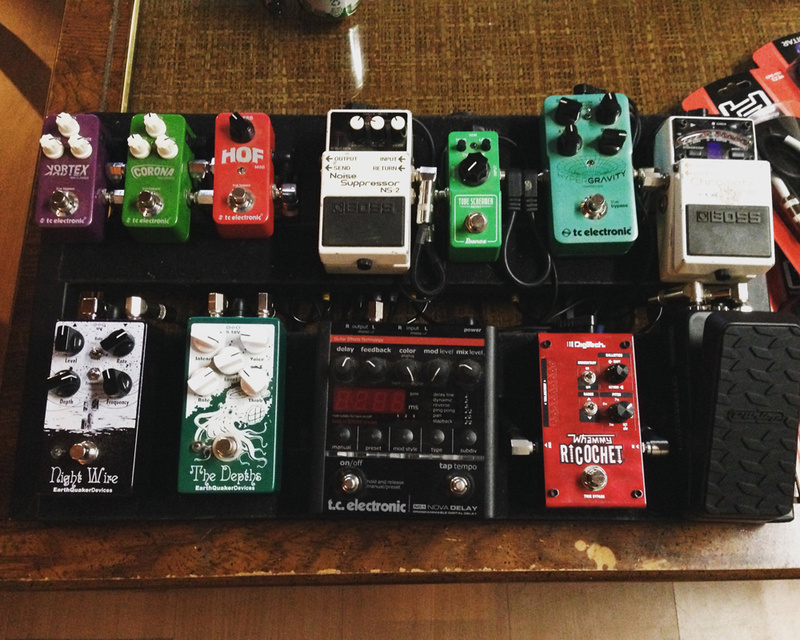 Today’s Pedal Line Friday submission is from Dan Carroll. If you have a pedal line (doesn’t have to be in a board) for your rig, please email me a photo, bio, description of pedals and routing to pedalline@nulleffectsbay.com. Every Friday I’ll showcase a pedal line submission. Make sure you include any links to your band or music page. Combining the ricochet with the nova delay can add some cool ascending effects to your delay repeats. Pedal Line Friday – 12/30 – Sean Fear Pedal Line Friday – 1/27 – David Polidoro Pedal Line Friday – 2/3 – Doctor Rickenbacker Pedal Line Friday – 3/31 – Mark R.